CLEVELAND, OH (WOIO) - It didn’t take Alec Burks long to make an impact for his new team. Traded to the Cavaliers just four days earlier (for Kyle Korver), it was Burks with the ball in his hands in the final seconds on Monday night, and he didn’t disappoint, driving to the hoop and throwing down a thunderous dunk to beat the Brooklyn Nets, 99-97. Exciting 99-97 win for #Cavs! 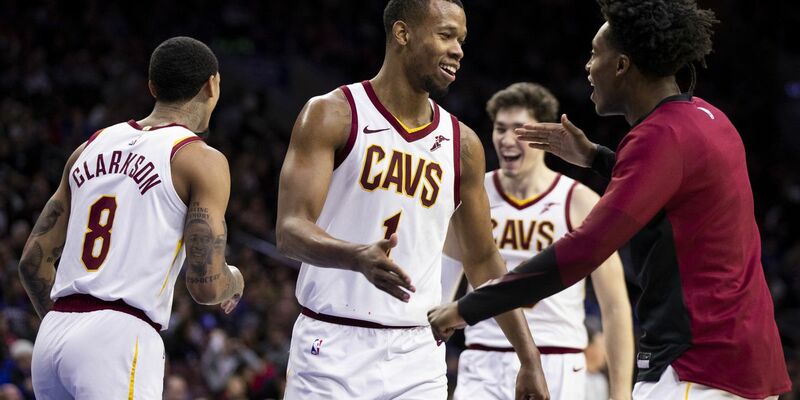 Tristan Thompson was pulled off the court for that final offensive possession, and he seemingly wasn’t too happy about that at the time, but the move allowed Burks to have more room to maneuver, and once the shot went down, Thompson was standing, smiling and applauding on the sideline. Thompson was then re-inserted into the lineup for the final three seconds, and that move paid off as well, as his defense forced Spencer Didwiddie to alter his final shot attempt, causing it to fall well short.